Attractive 3 Bedroom Cape on a pretty corner lot with a nicely maintained yard overlooking woodland and stream. Move in condition and well maintained by the original owner, this is a perfect home for buyers looking for a manageable size. Open floor plan from living room through dining area to kitchen, with a bedroom on the first floor (currently used as a den) along with a full bath. Second floor has two bedrooms with plenty of closet and storage space plus a half bath. Propane fired generator automatically starts to provide electricity during power failures for most household functions. One car garage under with door opener plus plenty of basement area for storage. 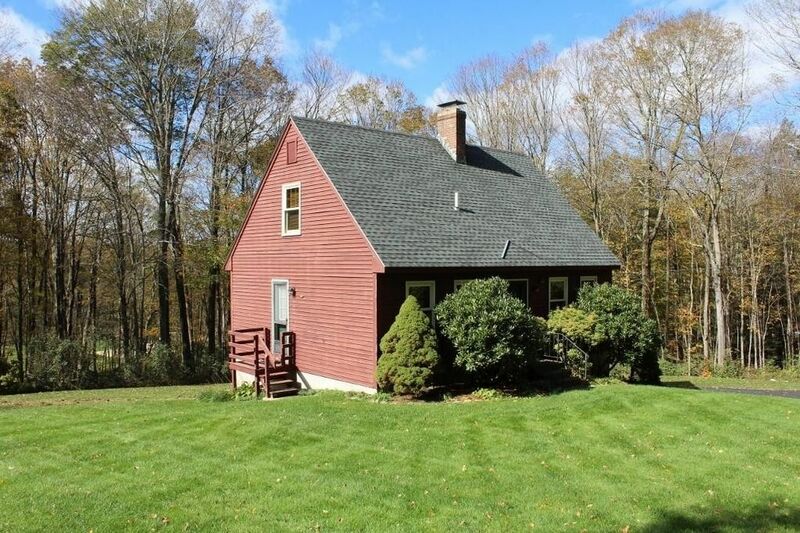 Great location for commute towards the Worcester/Shrewsbury area with easy access to Rt 122 in Rutland and Long Pond boat ramp. Directions: Crawford Road from Rt 122 in Rutland near boat ramp, continue onto East Hill Road.